Close your eyes … relax, and allow yourself to enter a place inside where you can gain access to anything that you need. Notice your breath rising…. and …. falling as a sense of well-being, that you can remember. Now allow it to spread over yourself so that my words can exactly fit the feeling and deepen it safely and securely. Notice your breath rising …. and …. falling …. as you imagine ocean waves rising …. and …. falling …. rolling effortlessly into shore as they become smaller and smaller …. then …. breaking …. dreaming …. your thoughts drifting …. now …. back into that space of all knowing …. listen to the ocean in your ears …. like the sea in a seashell traveling a spiral into a center of silence. And there you can discover something of the utmost importance to you. Right now you may not know exactly what it is, but somewhere inside you do and all you need to know now is that you can just relax and travel that special spiral. As you dream yourself on a vast ocean on a bright sunny day, floating …. up …. than …. down …. with ease …. warmly drifting …. on an inner ocean of your own cerebrospinal. Then suddenly as in slow motion a beautiful dolphin leaps into the air from your right side, transverses an arch over your body, and enters the water on the left side while simultaneously another dolphin leaps into the air from your left side and transverses an arch over your body, and enters the water on your right side. And without thinking your body drifts gently through their arch as each dolphin spirals in the fluid. One dolphin comes to your left ear and the other to your right ear. You feel their dolphin snouts in your ears as the dolphin on your left side sticks her dolphin tongue into your ear and begins licking while at the same time the dolphin on the right side sticks his dolphin tongue into your right ear and begins licking. 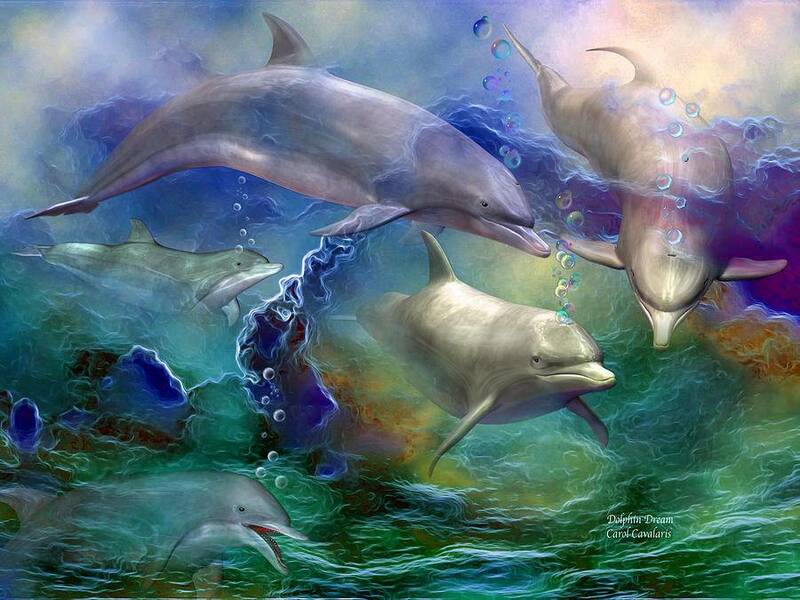 …as they tell you in dolphin language that they are from Delphi, the navel of our plant Earth. They are special messengers. They have access to the lost city of Atlantis and its vast libraries of knowledge and the Oracle of Delphi. They can swim deep into your unconsciousness through the ventricles of your brain, down your spinal column to your sacrum and back up into your “minds eye” and bring ancient knowledge..
Take a moment to be with your dolphins; ask them any question you want about your life and make sure that your creative self searches your life and puts together the most important question for you to make special changes that you can appreciate and that will support all of yourself and everyone around you. So just float, enjoy the warm sun, and listen to your dolphins………..